So, not everyone is able to go to Origins this weekend. In fact, even the biggest gaming convention ever is still only attended by a tiny portion of the gaming population. Something like Free RPG Day, however, can be attended by a lot more of us. It's coming up this weekend. So even if you're not at a show, you can still celebrate some gaming. 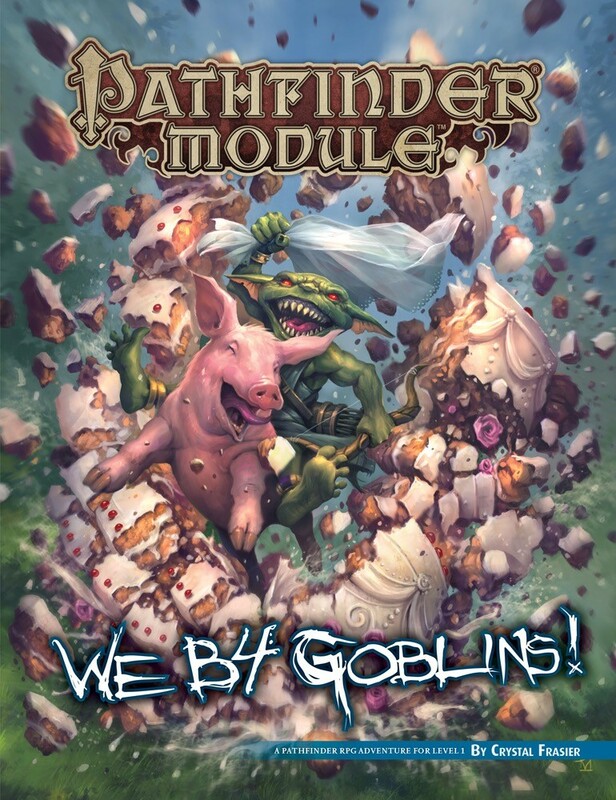 Paizo has posted details about their upcoming adventure they'll be giving out that day. Is We B4 and is the fourth Free RPG Day adventure from Paizo. This one finds players taking on the role of goblin characters just getting into the world of adventuring (generally a rather small, and short world for a goblin). The adventure is sanctioned for all Pathfinder Society events. Players that participate in gaming events using the module at their local game shops will be able to get a special boon for their character as well. Will you be able to overcome the trials set before you? Such things like tying a string to a giant spider, or yelling insults while your mouth is full of hot rocks, and other appropriately goblin-like things. The adventure will be available online for free starting July 1st as well.